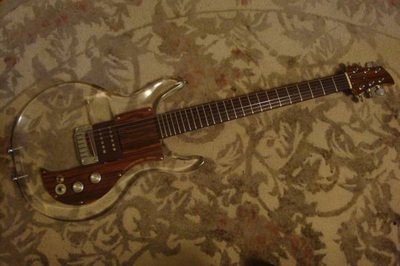 This guitar came up on Craig's List in May 2014 and was listed by a seller in Park Slope, Brooklyn. 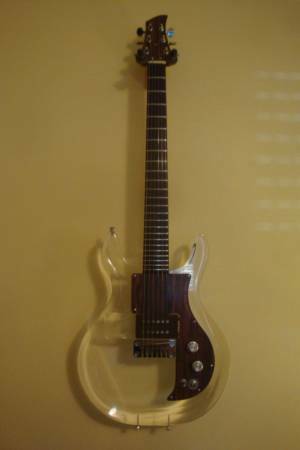 Asking price was $2,495, which is very reasonable considering it comes with the valuable ST pickup and original hard shell case. When we pinged the seller he mentioned he also has the original CB pickup as well. Original, intact examples of Dan Armstrongs are getting hard to find, somebody should jump on this. 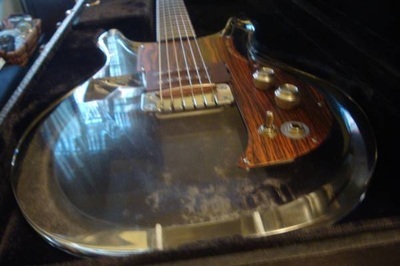 "All original 1971 Dan Armstrong Lucite guitar. Excellent condition. Great set up and playability. ST ("Sustain Treble") humbucking pickup (Dan Armstrong's favorite). Very little wear on frets. Includes original case in very good condition. KILLER sounding guitar." "The pots and switch are original and are in good working order. The volume pot code reads 1377036 and the tone pot code reads 1377035, both from 1970. The soldering is all original as are all the other parts (tuners, nut, frets, bridge, knobs, tone cap). 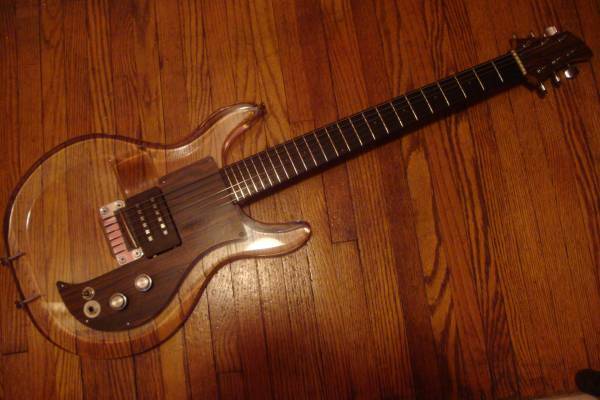 The truss rod works fine. The guitar is very clean. The pickguard around the input jack is cracked, (hence the washer) but around the switch it’s fine. The serial number is A2598D. To my knowledge it’s from 1971. I do have another pickup, but I was going to sell that separately. It’s a Country Bass pickup. (I also have a Rock Treble, pickup, but it doesn’t work). Any other questions, feel free to ask."